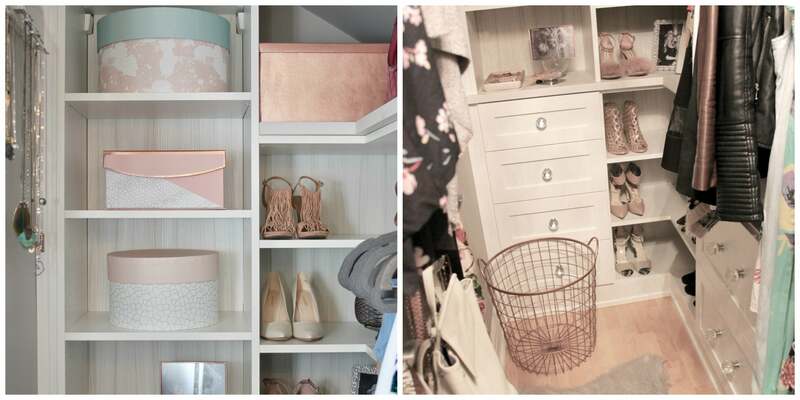 You are here: Home / Outfits / Momstyle / My Dream Closet Reveal! 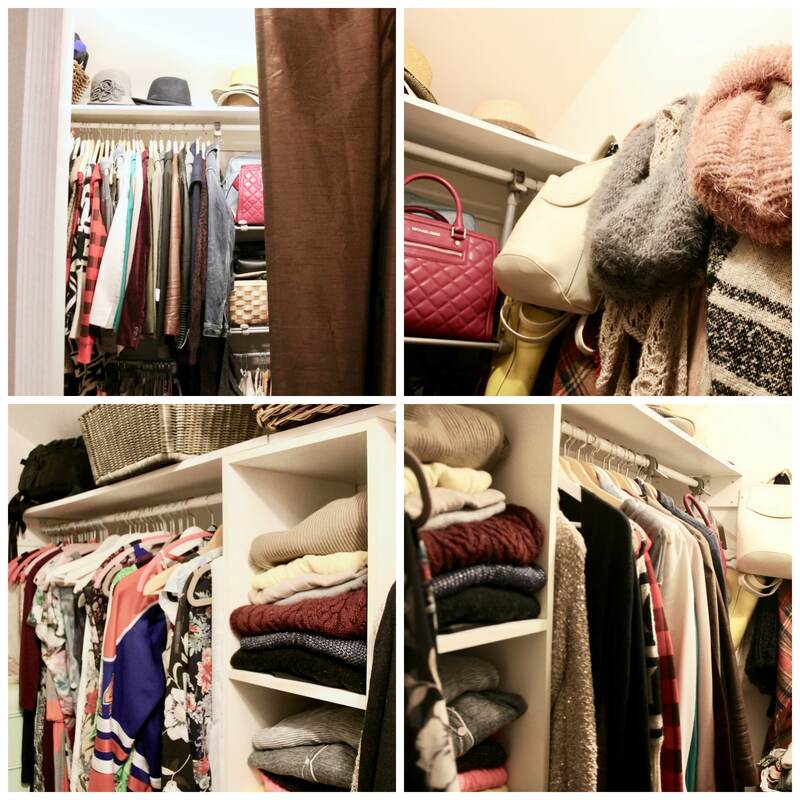 I’m so excited to finally share my closet transformation with you! I have to say, I feel like I’m 50 pounds lighter. It’s like a weight has been lifted off my shoulders. In fact, I think I shed close to 100 pounds of stuff! There is something about clutter and disorganization that really gets to me, affecting my day-to-day, including my overall mood. I truly believe when things are organized, it changes the way we operate (and act) as humans. Months ago, we decided it was time to get our house in order. We were bursting at the seams, especially because our lifestyle had changed so much over just a few years (a move, career changes, a dog, and a baby). When we moved into our current home we promised we would eventually get to certain areas, but it just hadn’t happened yet. Now was the time. My closet really needed a cleanse. When I took a look at everything in there, I realized I didn’t wear 75% of it. No joke. Mostly because my life and career had changed and my day-to-day was different, requiring a different wardrobe. I found it so difficult to put outfits together because the space wasn’t designed properly. I simply couldn’t find things. As a parent, this was particularly stressful because efficiency is top of mind. 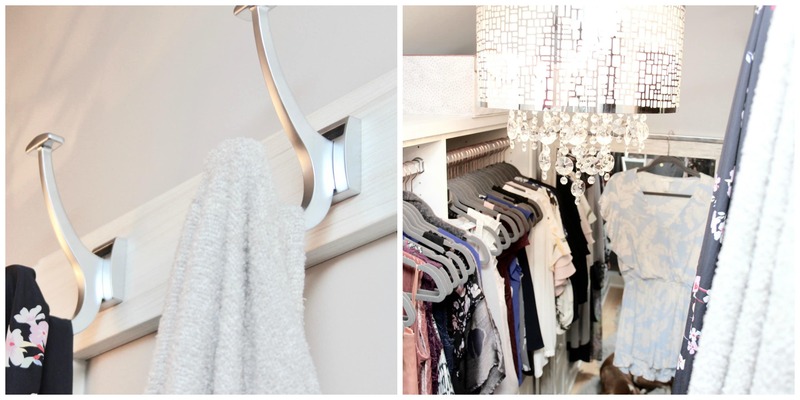 We decided to team up with California Closets to turn our dreams into reality. 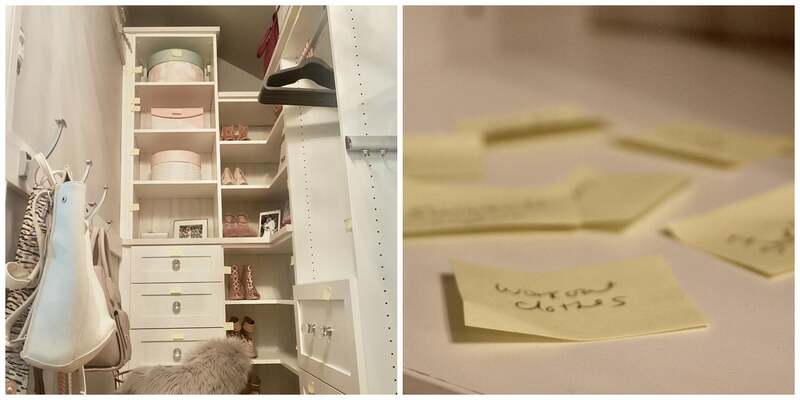 The process turned out to be not only simple but fun (a girl can find worse things to do than design her own custom closet)! 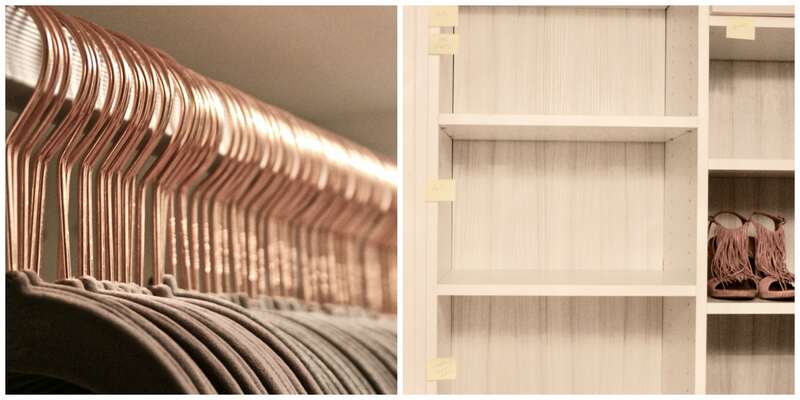 The crew at California Closets Edmonton invited us to their showroom, listened to our vision, and offered their expertise and ideas. I wanted a feminine, yet mature space. 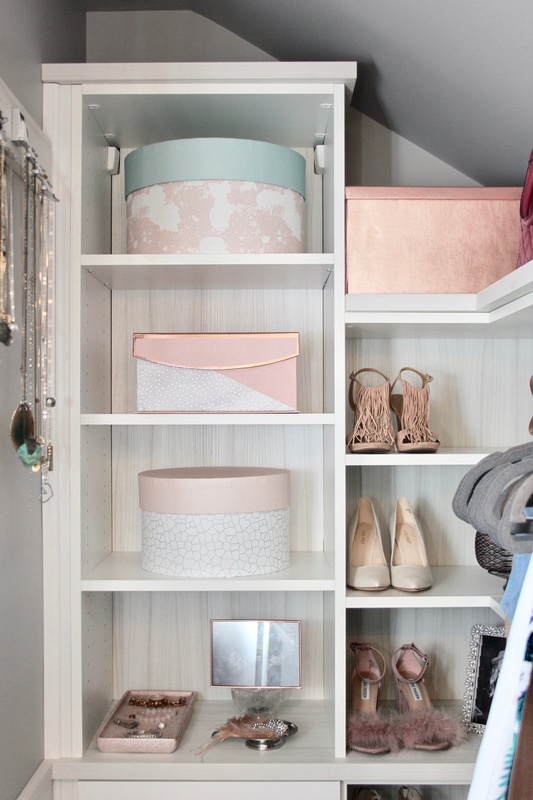 I love whites, greys, pinks and rose gold so why not make my closet reflect that? Ryan had his own ideas for his closet too. Together, we designed a few really beautiful spaces (watch for the reveals of our living room in the coming months). Once the designs were done, it was time to clear my existing closet space. Everything came out, so the demolition and painting crews could do their thing. The total transformation occurred over the course of a week. I was absolutely floored with the finished product. 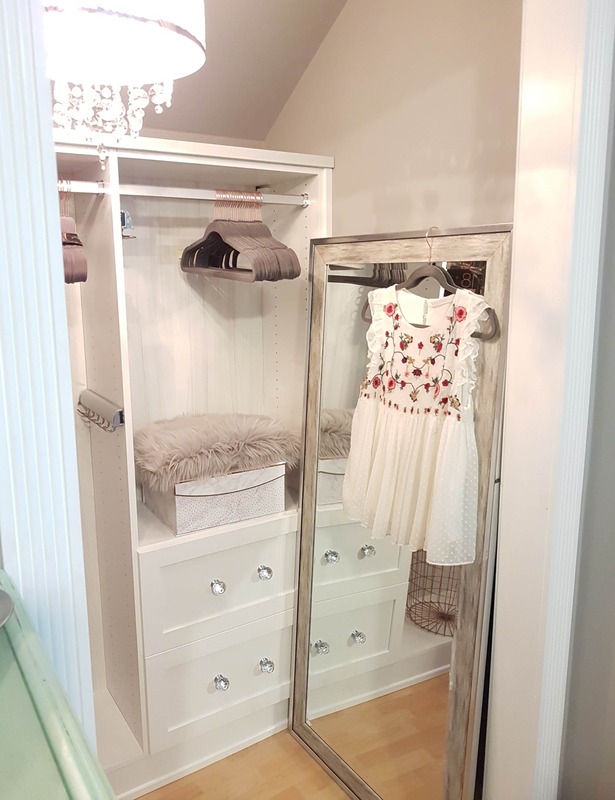 From the glass knobs on the drawers and the specially installed princess chandelier to the fresh coat of paint complementing our bedroom and the replacement crown mouldings that match the rest of the house, the California Closets team nailed the assignment. It was like one of the fairy godmothers had waved her wand! 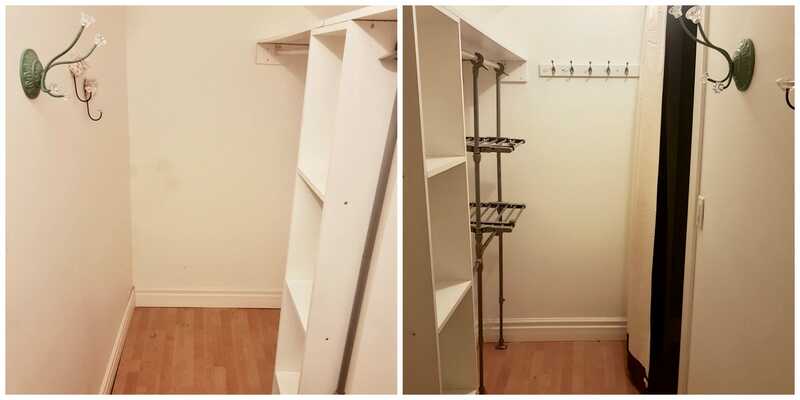 Once the work was done, I began to move back in with new storage boxes and hangers, along with other accessories including a new mirror, area rug, and jewellery stand. Then came time to plan how I’d organize my reinvented custom space. With such an intuitive layout, the process was both easy and enjoyable. (Read all the details and where to shop the extras here). 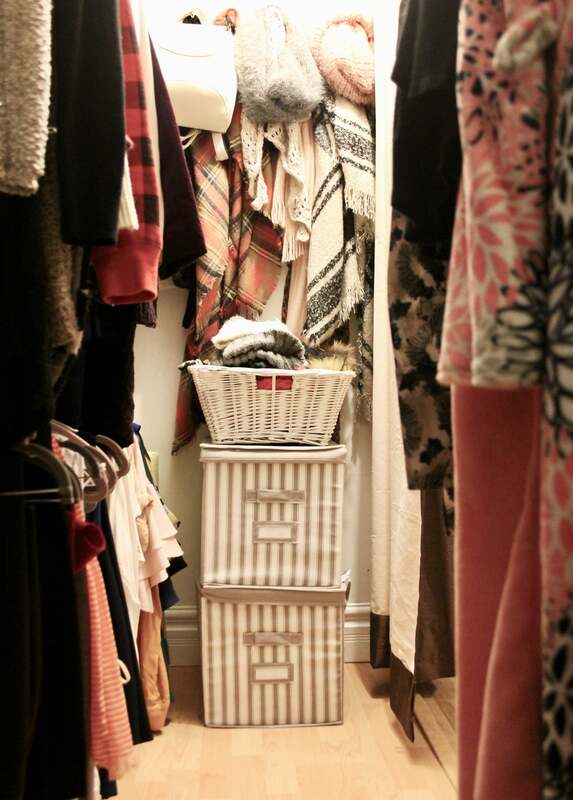 I feel like it’s important to treat your closet space as a unique room in the house and decorate it to reflect that. 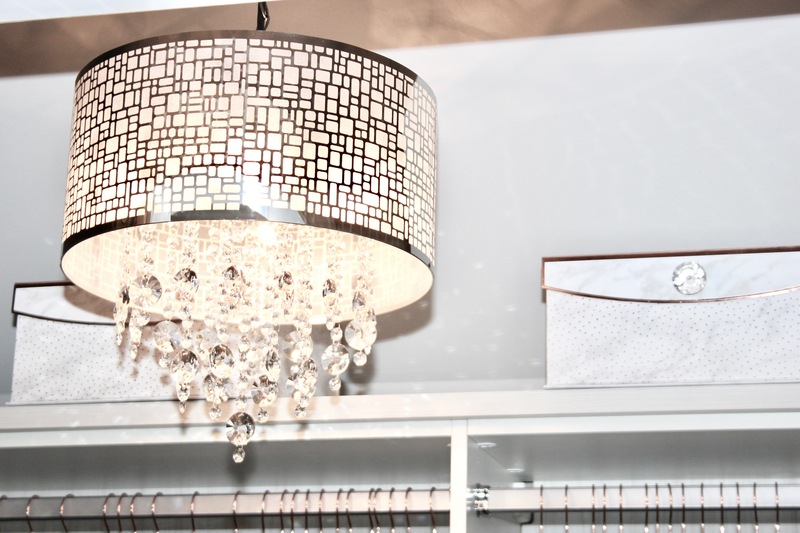 When you’re in the space, the design, the decor, and the clothes should make you feel happy. I know I certainly do now! 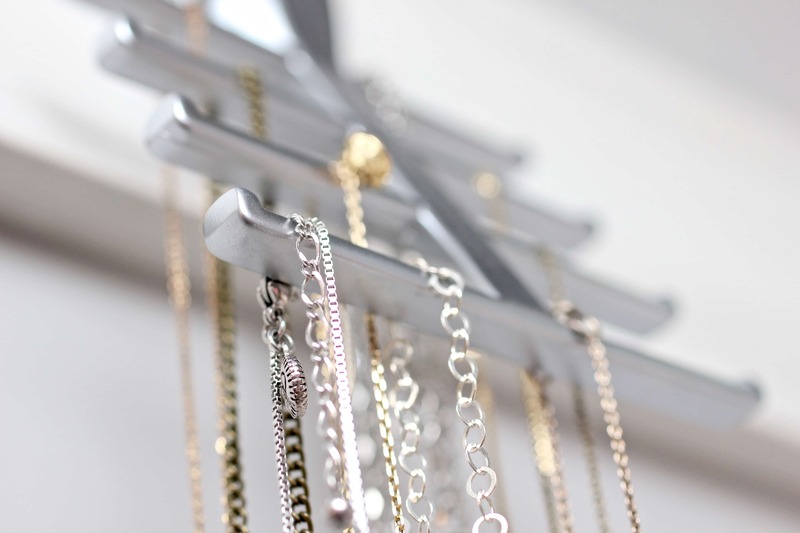 Pin this to your dream closet and home organization board and don’t forget to follow me on Pinterest. This post was sponsored by California Closets, but as always, my thoughts are my own. It looks so amazing, lady!! What a transformation! Gasp! Breathtaking! I am inspired! Incredible…looks lovely. going through a home reno ourself so this has given me hope that things will look this lovely when they are done. Amazing & inspiring!! 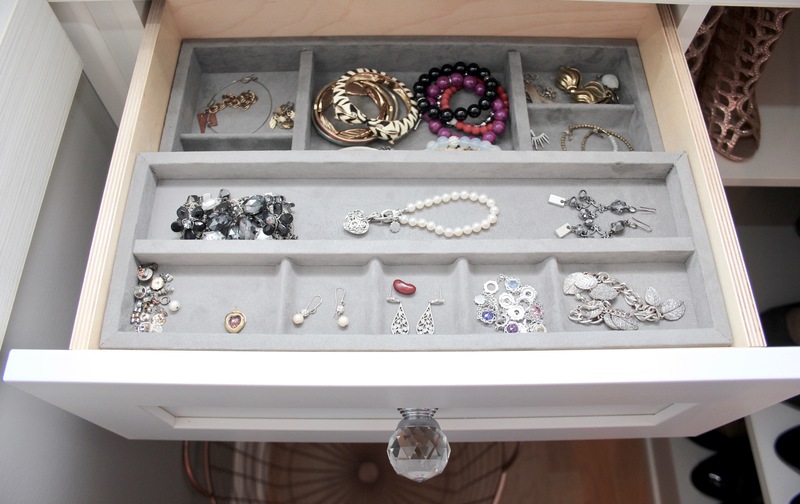 love the cubbies & the ‘bling’ draw! Fantastic ideas! Kari, what a wonderful move. It’s lovely! 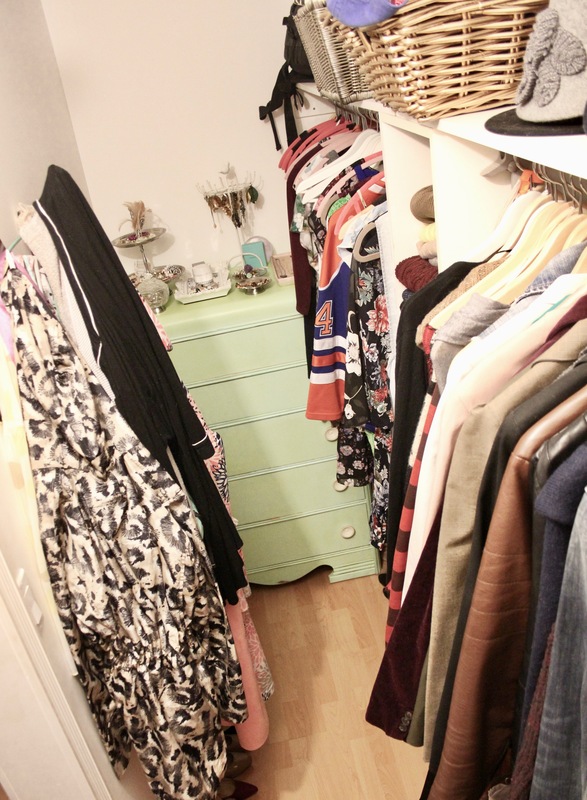 I will have to reach out to Cali Closets someday for my own closet reno. I can’t wait for your post on the purge. I’m about to get real about a major edit myself. HELP! Beautiful! 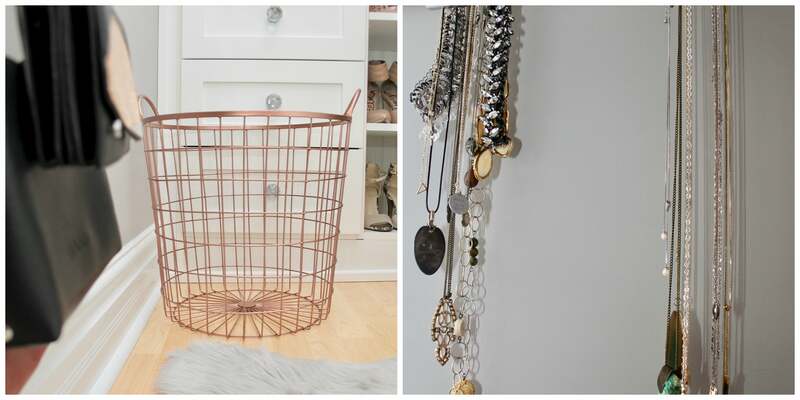 Where do you find the hangers with the rose gold?